There are currently 38 users and 1610 guests online. 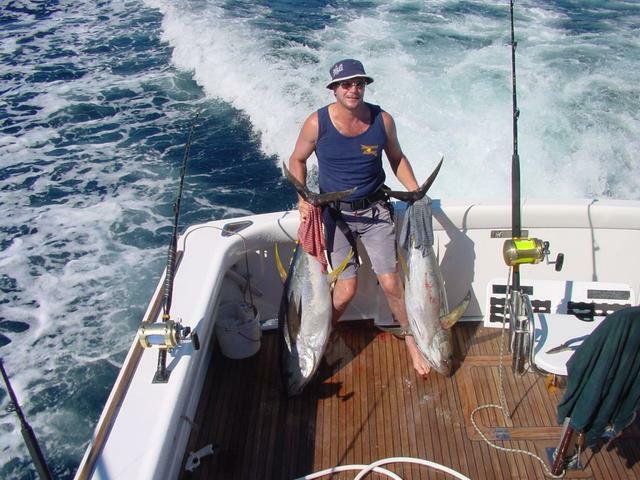 Couple of Yellowfin Tuna taken on stand up 50 . Best tuna I've tried is just the sashimi with the wasabi, not a big fan of tuna, and haven't caught many myself.. I'm sure walky, the guy who caught em, would thou.. Will get him to post one up..